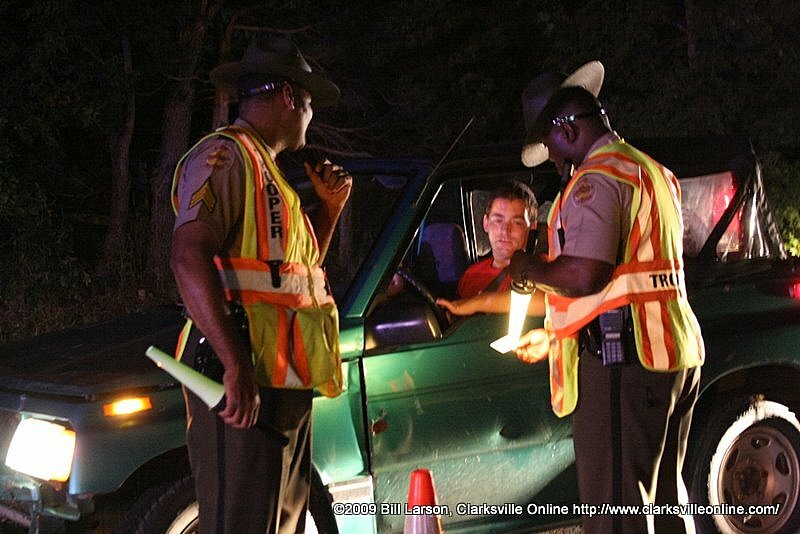 This weekend while most of us were enjoying our first evening of the long Labor Day weekend, the Troopers of Tennessee Highway Patrol were hard at work. In District 3 which covers our area, they were out on Highway 12 conducting a drivers license checkpoint. Being a bit short on officers, just three State Troopers processed over 137 cars looking for people driving without licenses, driving intoxicated, miscellaneous violations, and of course people with outstanding warrants. 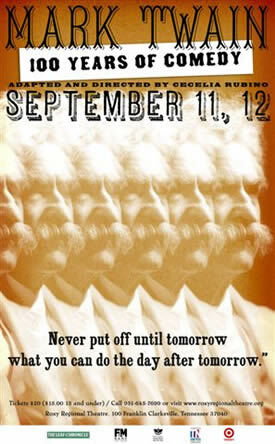 Huckleberry Finn, Tom Sawyer and many others will spring to life to share the wit and wisdom of one of America’s finest authors this September 11th-12th with MARK TWAIN: 100 YEARS OF COMEDY. A cornerstone of entertainment in historic downtown Clarksville, the Roxy Regional Theatre delivers live professional productions with skilled and experienced actors from across the United States. Be prepared to fall out of your chair laughing at the antics of Twain’s cast of characters. Ashton Crosby, Jonathan Hopkins, and Brandon Scott will portray a variety of characters from Twain’s extensive anthology. During the show, select audience members will be brought on stage to join in the fun. Performances are 8pm Friday and 2pm Saturday afternoon, there is no Saturday evening performance. Tickets are $15 for adults and $10 for kids 13 and younger. Purchase online at www.roxyregionaltheatre.org, or call (931) 645-7699 during regular box office hours (9am-2pm, weekdays). This production is appropriate for all ages. Roxy Regional Theatre is located at 100 Franklin Street. Hope vs Fear & Ignorance: Which will win? Our society is at war with itself. The downturn in the economy has brought great fears to many citizens. People who focus on their fears have little chance of seeing a solution. Fear is a paralyzing emotion. Mix that with ignorance of some basic facts that are misconstrued by devious politicians seeking their own aggrandizement and you get demonstrations that defy logic. With citizens in all walks of life losing their jobs and needing hope, some officials more concerned about grandstanding they hope will lead themselves to higher political office than to addressing the suffering of the people who elected them. When people need hope, more money in their pockets, possibility of new jobs opening up for which they are qualified, we are unfortunately faced with some politicians who are more interested in spreading lies than in solving problems. Yes, we all have to support our government through taxes. Yes, we need to be as frugal as possible with public money. Yes, we need to cut pork out of all budgets—federal, state, local or personal.